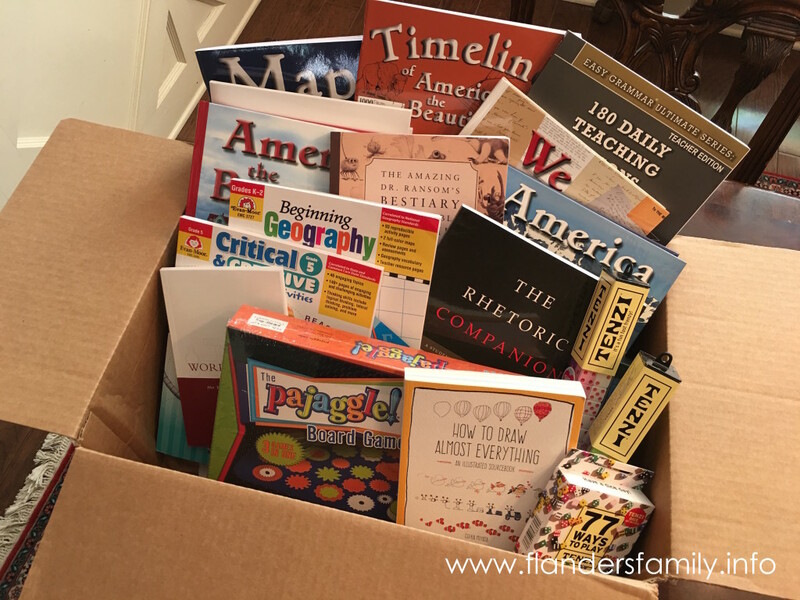 As I’ve mentioned before, we’re longtime fans of Timberdoodle, so when the company offered earlier this year to let me try a slew of new products in exchange for an honest review of each, I jumped at the chance to participate. …but at the request of my children, I decided to start with Pajaggle. The box says this game is for ages 8 and up, but my brand-new six-year-old has been playing all week with her big brothers and loves it. 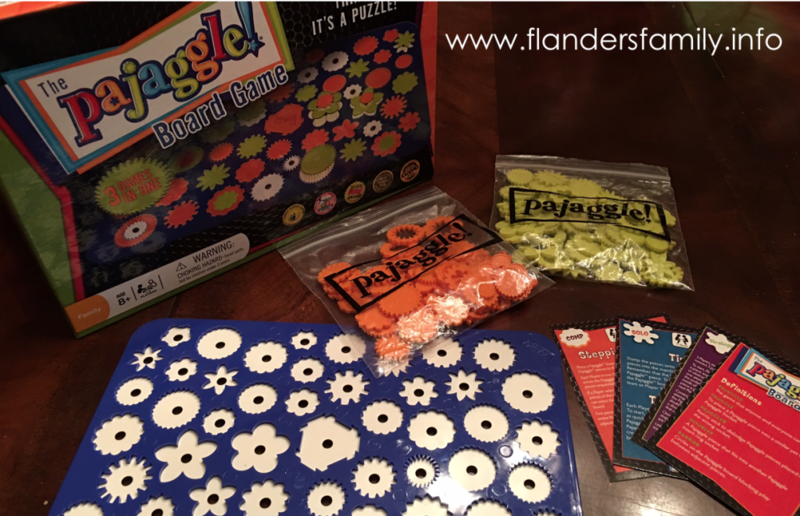 The version Timberdoodle sells comes with two colors of pieces, which turns Pajaggle into a two-player (or two team) game. I thought the game would primarily appeal to my little ones, but I was wrong. 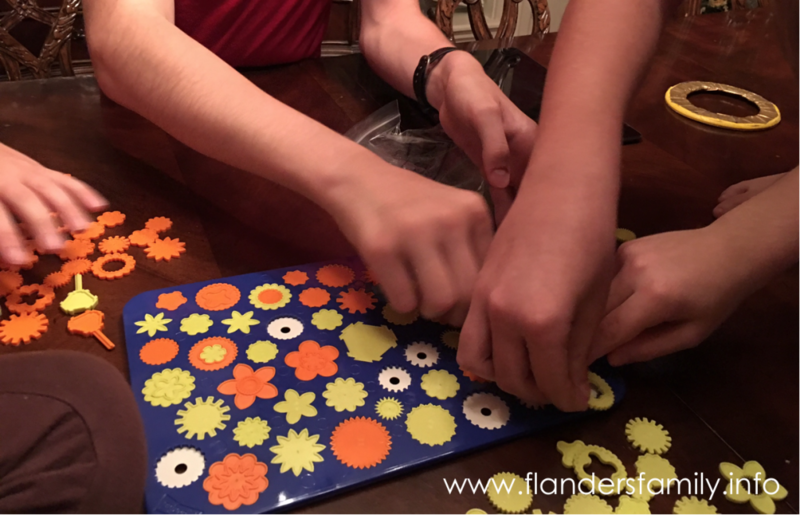 As soon as my teenagers heard the commotion, they came to join in the fun, as well. The table got a little crowded with seven of us playing Pajaggle all at the same time, so I stepped away to take a few pictures. Don’t let the photos fool you. 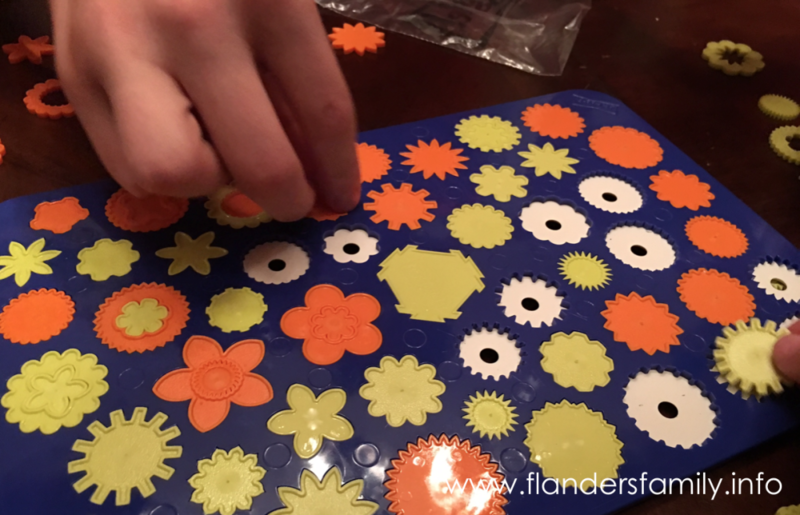 This game is a lot more challenging than it looks, due to very minor and difficult-to-discern differences in the shapes and sizes of the puzzle pieces. 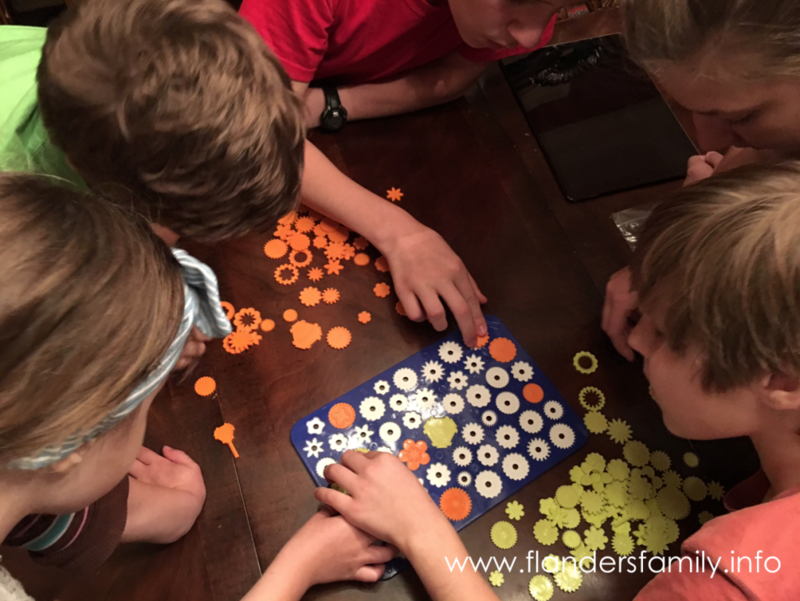 Rule cards list several different options for play, but we think the most straightforward version is the most fun: race your opponent to see who can fit the most pieces of your color into the game board before the puzzle is complete. In the absence of an opponent — which almost never happens at our house — Pajaggle can be played alone or by racing against the clock, instead. 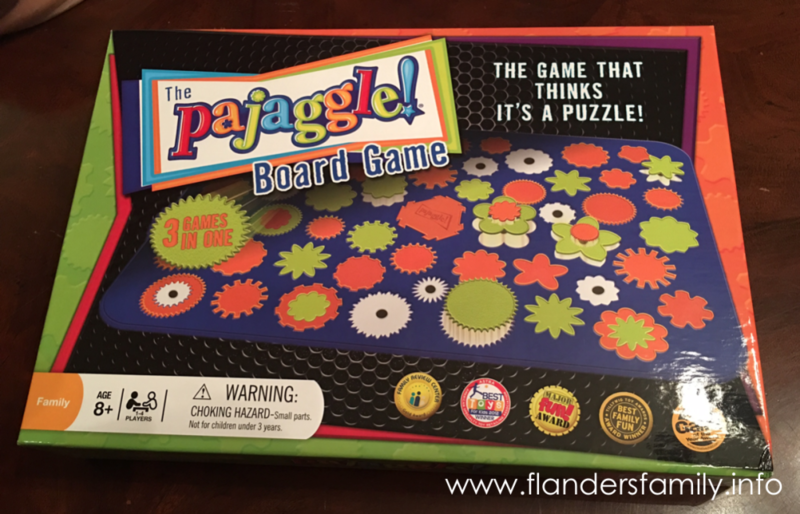 This puzzle game makes a fun addition to any child’s curriculum and (of course) can be purchased separately, but parents of preschoolers might be interested to know that Pajaggle is also included in Timberdoodle’s Elite Kindergarten Kit.